As a kid, I always loved going camping with my friends. When my parents didn't have time to take us, we would create make shift tents out of pillows and blankets. After we were done building our fort, we would make some refreshing lemonade. 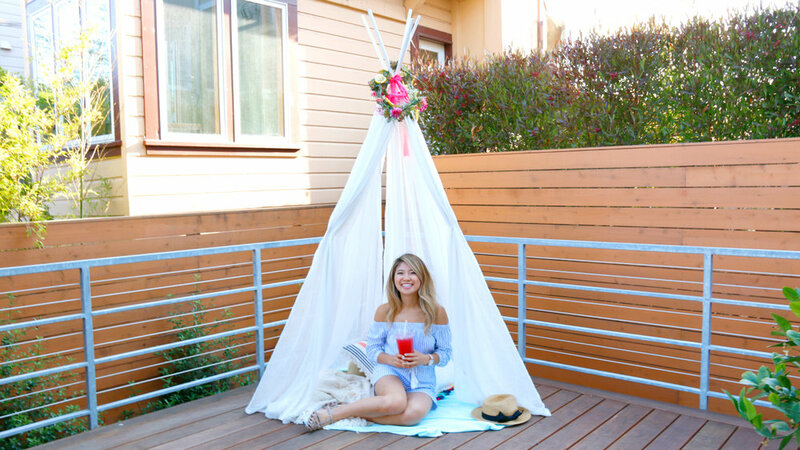 I'm happy to collaborate with Wendy's as a part of the Crafternoon Series to build a cute DIY bohemian summer fort inspired by Wendy's Blackberry Lemonade. It is an easy and affordable summer activity you can recreate with your friends. Watch the video here. Thanks for reading! Please share this with your friends! This video was made in collaboration with Wendy's.